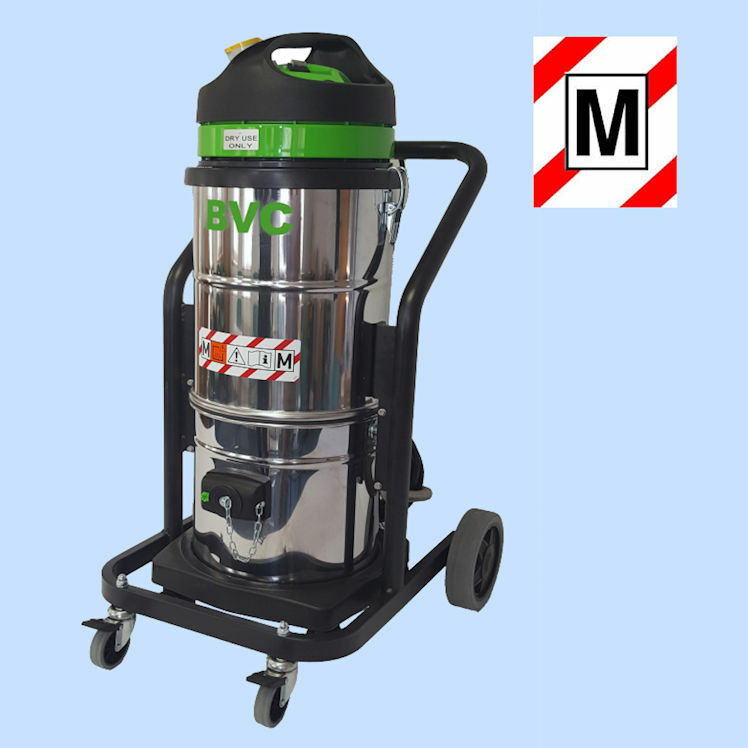 Greenline 1-50M is an M Class Industrial Vacuum Cleaner with a 50 litre tank, which is easily removable for emptying and has a built in trolley for easy maneuvering to the disposal point . A powerful 2 stage turbine delivers powerful suction, and with a 10,500sqcm main filter and 3 stage filtration, 1-50M delivers M-Class performance wherever required. Unlike many vacuums, where the usable capacity is less than the specified tank capacity, because the filter assembly consumes usable space, the 1-50M’s tank is “all tank” – the filter assembly is contained within the upper body of the unit. 32A 110v plug delivering 1500W to the power-tool take off. Greenline 1-50M is designed particularly for use on construction sites with portable tools. The 110v version of 1-50M has a site-safe yellow arctic cable power lead, and a 32A 110v plug ensures that both the vacuum and up to 1500W of power tool take-off do not stress the available power supply. 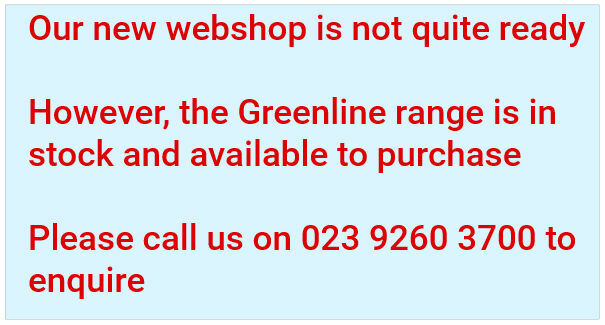 Greenline 1-50M has 3 stage filtration. The first stage is a microfibre disposable bag; second stage is a polycarbon anti-static filter which protects the third stage main cartridge filter. Filters conform to BS EN 1822-2:2009 and also conform to the equivalent standards described in ISO 29463-1:2011. A Filter clog warning light is provided which will indicate when the filter performance is becoming degraded. The filter assembly is contained within the upper part of the machine body, ensuring the whole tank capacity is available. Greenline 1-41M delivers powerful suction with a big filter area to prevent premature clogging, protected by a high-performance self-cleaning polycarbon filter protector. The antistatic properties allow dust to drop away easily. When used with fine dust, the M-Class microfibre bag ensures that all dust is captured. For larger waste (e.g. wood shavings) it is possible to use 1-41M without a microfibre bag. 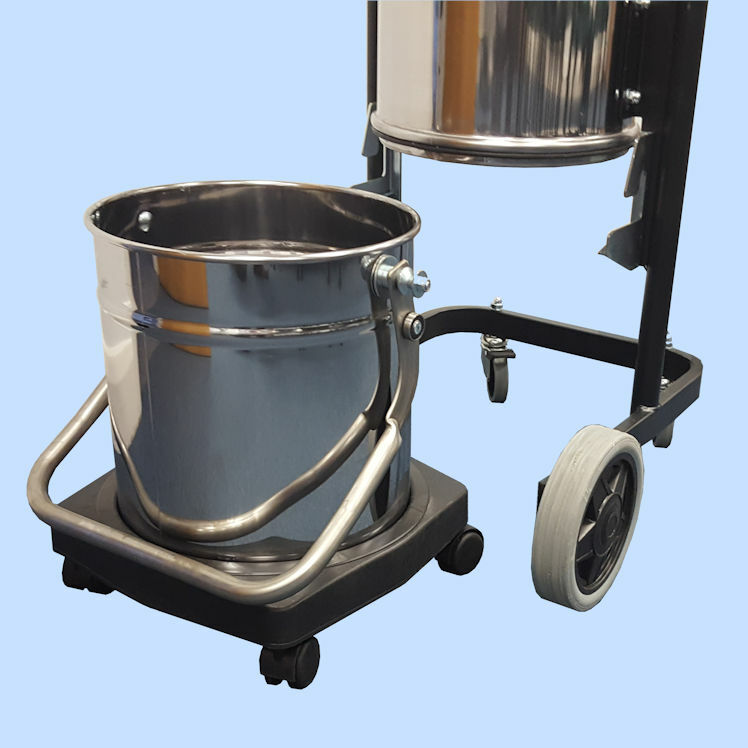 The detachable stainless drum with its own catered trolley allows easy emptying. A 230v version is available.